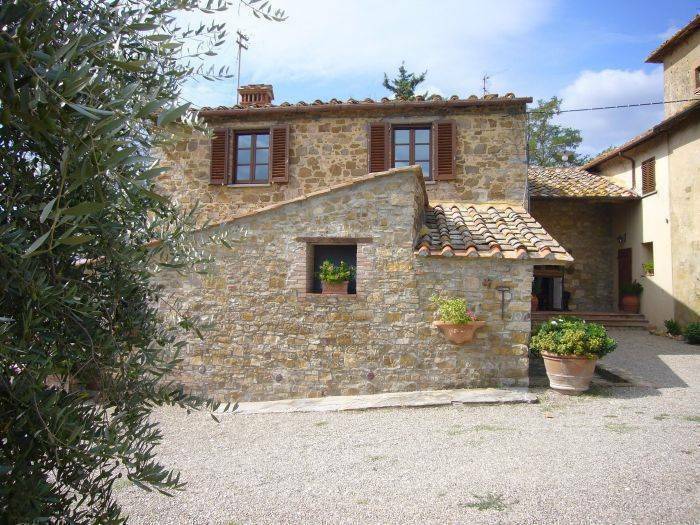 We are a small B&B in Chianti, surrounded by vineyards, olive groves and a spectacular wildlife. From our house in a beautiful sunny day you can see San Gimignano, which by car is only 12 km away. Siena and Florence easy to reach via the superstrada are around 25 min. away. 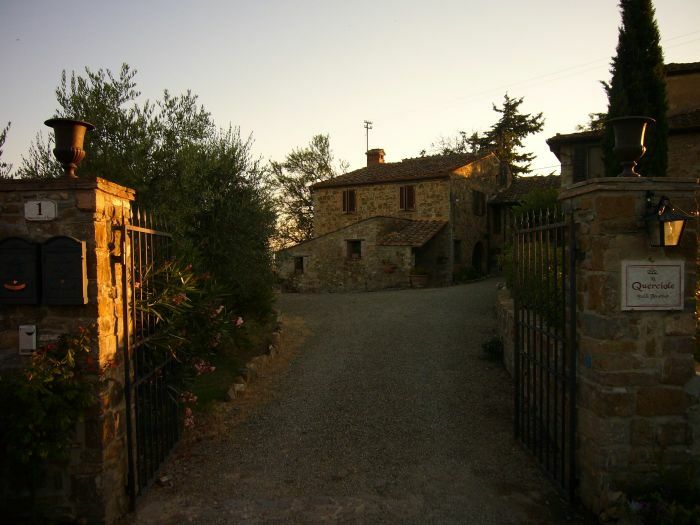 Drive through the famouse Chianti roads, visit towns as Castellina, Radda, Panzano and Greve. 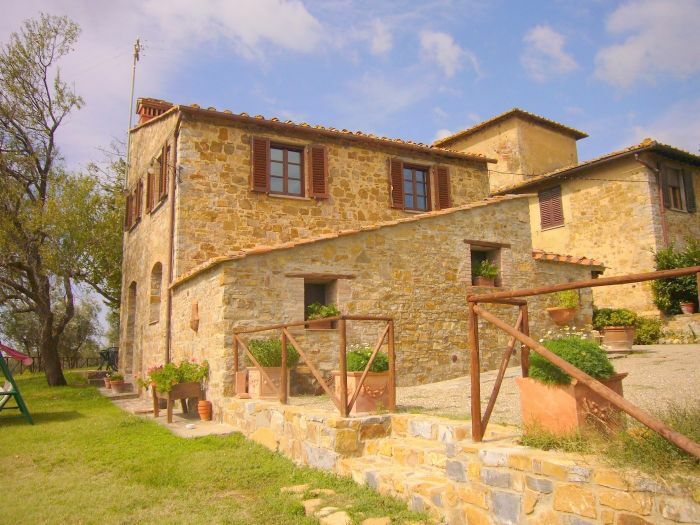 Enjoy typical Tuscan cuisine in the restaurants around the area and enjoy wine and oil tastings in the many wine and oil producers around the area. Being surronded by vineyards and hills, you must have the use of a car. The nearest village is 5 km away where you can find banks, cafes, supermarkets, chemist, information point and so many good trattorias and pizzerias. 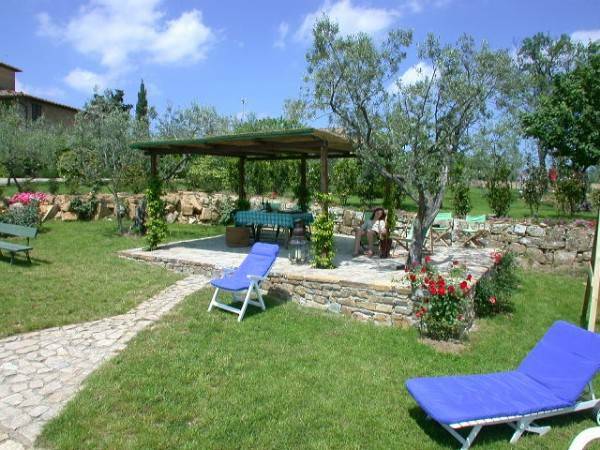 In the property you have a nice swimming pool, wide garden and BBQ area. All BBQ tools provided. Only charcoal provided with a small charge. All our rooms have en suite bathrooms and frigo bar. On occasion we do organise dinners. The price quoted is per room and includes a rich breakfast. Included in the price all bed linens, towels and final cleaning. Room cleaning and sheets and towel change is done on a 7 days basis. It is possible to request clean sheets and towels at a cost of € 15, 00 per set per time. Daily cleaning is charged at € 10, 00 per day. A LITTLE VILLAGE AT 5 KM WHERE YOU CAN FIND ALL YOU NEED, FROM SUPERMARKETS, BARS, PIZZERIAS, TRATTORIAS, CHEMIST AND BANKS. AT 6KM AWAY A BIGGER TOWN WITH HIGH STREET SHOPS. PRICE QUOTED IS PER ROOM PER NIGHT WITH BREAKFAST, PARKING, USE OF SWIMMING POOL AND ALL TAXES INCLUDED. 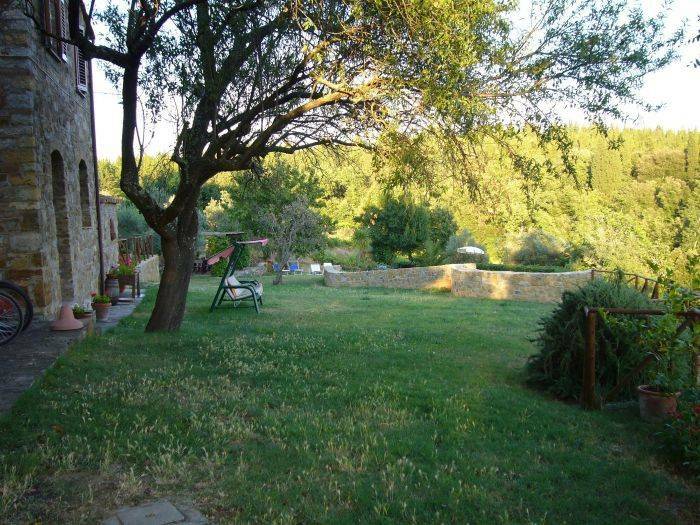 COUNTRYSIDE, HILLS IN CHIANTI, WOODS, WILDLIFE, IDEAL FOR A VACATION IN TOTAL RELAX. 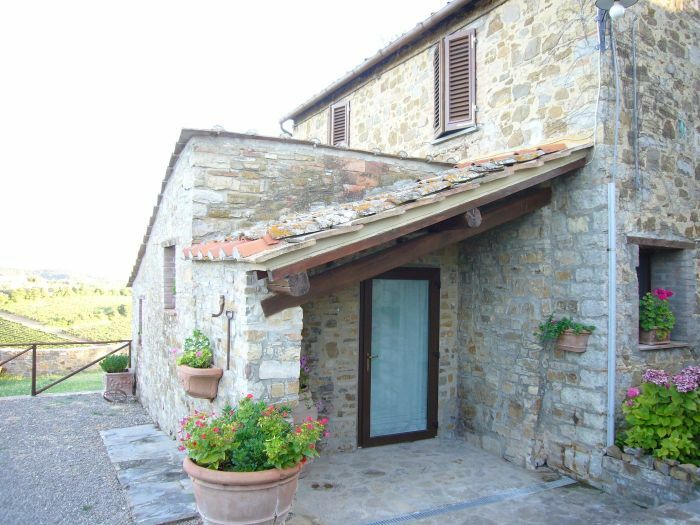 THE OPPORTUNITY TO VISIT ALL THE MAJOR SITES IN TUSCANY AND THEN COME BACK "HOME" IN A FAMILIAR AND FRIENDLY ATMOSPHERE. PAYMENT MUST BE IN CASH ON CHECK-OUT. CARDS ARE ONLY USED AS GUARANTEE. CANCELLATION 7 DAYS PRIOR TO ARRIVAL WILL NOT INCURR IN ANY PENALTY, AFTER THIS THE FIRST NIGHT STAY WILL BE CHARGED.. PLEASE NOTE THAT ANY CHANGES IN THE ORIGINAL BOOKING NOTIFIED AFTER YOUR ARRIVAL WILL INCURR IN THE CHARGE OF THE TOTAL AMOUNT OF THE BOOKING (UNLESS FOR EXCEPTIONAL REASONS). Arriving from Rome or Milan, motorway A1, exit at Firenze Certosa, at the roundabout take the first on your right (raccordo Siena Firenze) and exit at San Donato, turn left following the indication towards Castellina, pass the town of San Donato, pass the restaurant La Locanda di Pietracupa, pass Casa Emma and after about 1, 5 km, on your right you will see the sign Monsanto and B&B Le Querciole, take this country road, once at the road split follow once again Monsanto, drive for about 2, 5 km and your right you will see the sign B&B Le Querciole, another 500 m and you have arrived, we are the first house on your left. Arriving from Siena take the raccordo Siena Firenze and exit at Poggibonsi Nord, at the roundabout follow for Barberino Val D’elsa, immediately after, about 50 m, turn right and follow the road till you get to the cypress tree in the middle of the road, take once again your right and follow the road (tarmack) for 6 km, pass the town of Monsanto, pass the Castello della Paneretta and after 1 km on your left you will see the sign B&B Le Querciole, you have arrived another 500 m and we are the first house on your left.